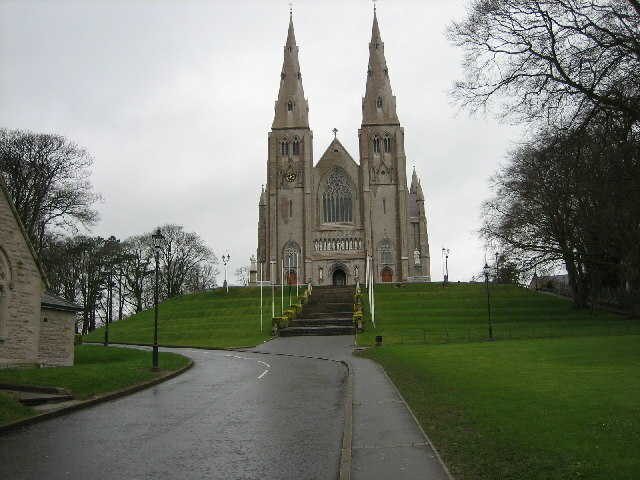 Armagh became a centre of learning when Saint Patrick chose it as the site for his main church around AD 445. It remains one of Ireland's most venerated cities. The city’s name derives from its Gaelic name – Ard Mhacha – which in turn comes from Queen Macha. She was the queen who helped found the capital of the province of Ulster at Emain Macha in 300 BC. This was just two miles west of what is now Armagh. The Church of Ireland, known as Saint Patrick's Cathedral was originally built in 1268. It was comprehensively rebuilt in the Gothic style in 1834. The Roman Catholic Cathedral, also known as Saint Patrick's Cathedral, has distinctive twin towers and 32 bells. At Ireland and Scotland Luxury Tours we advise seeing both on your tours of Ireland. Armagh also has some beautiful Georgian houses and streets. It also boasts some wonderful manuscripts, books, and paintings. Armagh also has a Planetarium. We do not actually base clients in Armagh but if churches are of interest, we certainly recommend a visit.